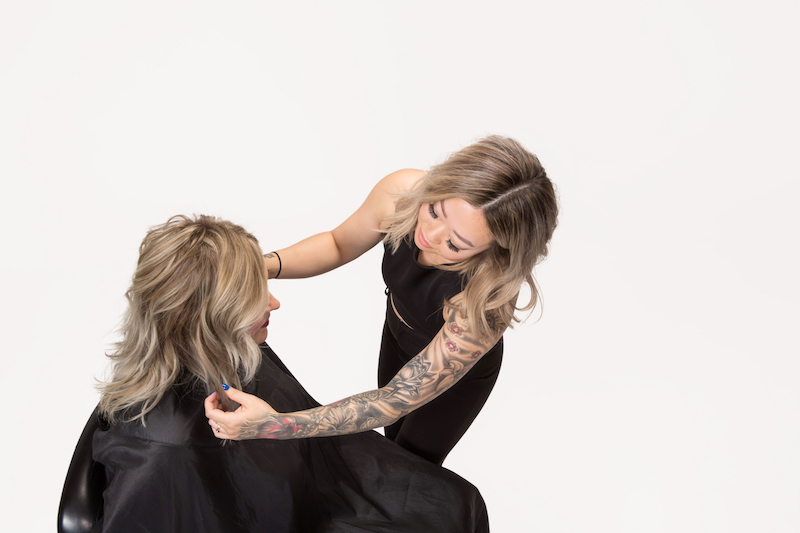 A self proclaimed control-freak, Sharon Hinkle, owner of Blend Studio in Tacoma, Washington, was fed up with working for salon managers and owners who were focused on quantity over quality. In this Q&A, Sharon shares a few time management strategies, in salon practices and social media tactics that have helped her create her own definition of success. 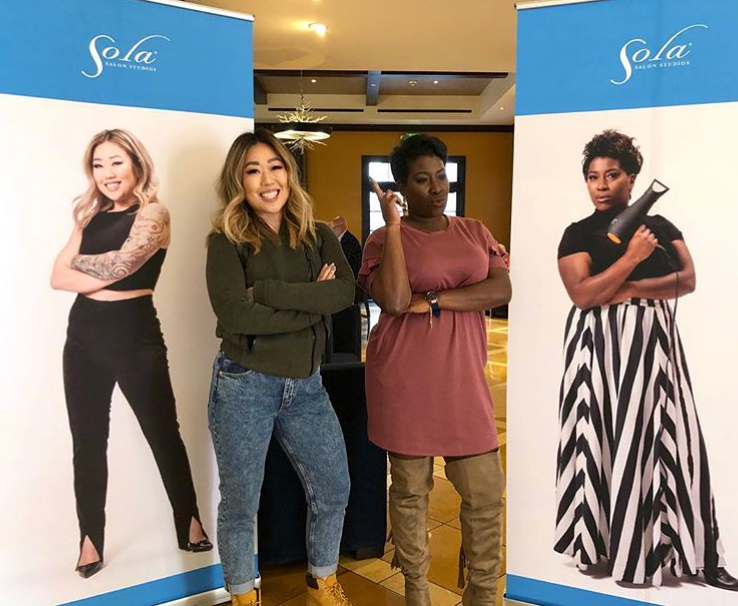 When the opportunity to open her own Sola studio presented itself, Sharon jumped at the chance to grow her own brand and give her clients the level of service that they deserved. 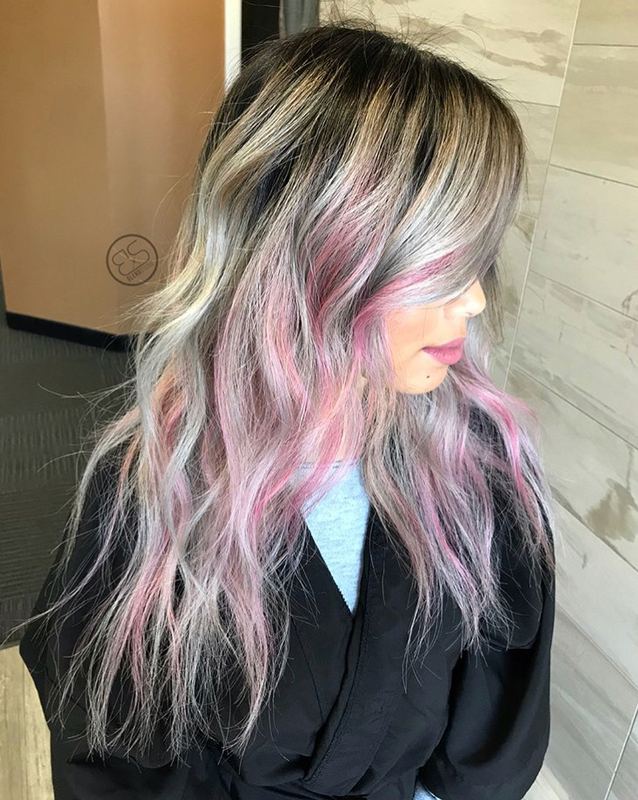 We've chosen Sharon to be one of our 2017 Faces of Sola stylists because she's a bit of a firecracker—her work as a colorist speaks for itself on Instagram (follow her @blend_studio!) and she’s a total #BOSS at marketing and growing her thriving salon business. During our interview with you, you were very passionate about how you love being your own boss? Is it because of a previous employer who wasn’t good at being a leader? Actually, I had a couple of them! 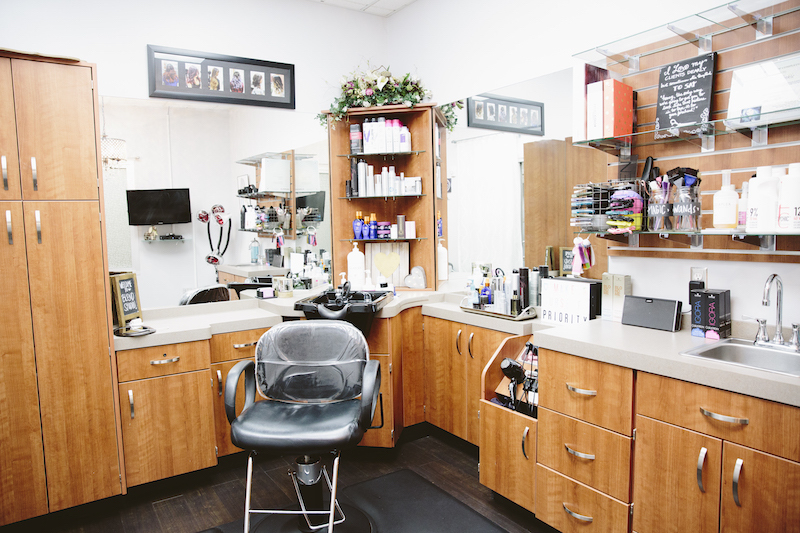 The two salon owners that I have worked for were all about quantity over quality. I was always over-booked, and whenever I confronted them about it and said that I wasn’t going to be able to do it, their answer was always, “Well, you’re just going to have to do something about it.” Working for those bosses, there was always that pressure, and I was always 100% not satisfied with how my clients were leaving the salon. Now I don’t have to worry about any of that. I always have enough product in stock (honestly, I’m a bit of a hoarder), and I get to pick and choose what I want to use and carry. When you work for someone else, you’re stuck with whatever they want to do. Not one manufacturer line is absolutely perfect. I wanted the freedom to pick and choose. I’m also able to keep everything in control and organized the way I want. I did learn a lot from working in those places and for those people because I saw how I would do things differently. I was constantly learning from their mistakes. You worked for people who were constantly cutting corners and dropping the ball. How do you keep yourself on track and accountable? I only work seven to eight hours a day—that’s the maximum. Whatever can fit during that time frame is what gets booked. I never over-book or double-book myself. I never have someone sitting as I’m working on someone else. I don’t like that kind of pressure. I don’t want someone waiting for me. I need to be happy with the work I’m putting out and I need the client to be happy. For me, it is quality over quantity. Time management can get tricky when you’re doing a lot of color, so what is something you do that helps you keep that quality over quantity mindset? I book longer than shorter. For example, if a client is coming in and I know it is going to take three hours from start to finish, then I’m going to book the appointment for three hours and 30 minutes. I tack on that extra 30 minutes just in case. There are times that I do run 15-20 minutes behind on a client, and I have that extra just in case. How to you go about scheduling time and preparing for your clients for the week? I always prepare myself for the week of clients, those who are coming in Monday through Saturday, on that Sunday. I take a look at what I’m doing for each one, what I need to either learn or purchase for their service. 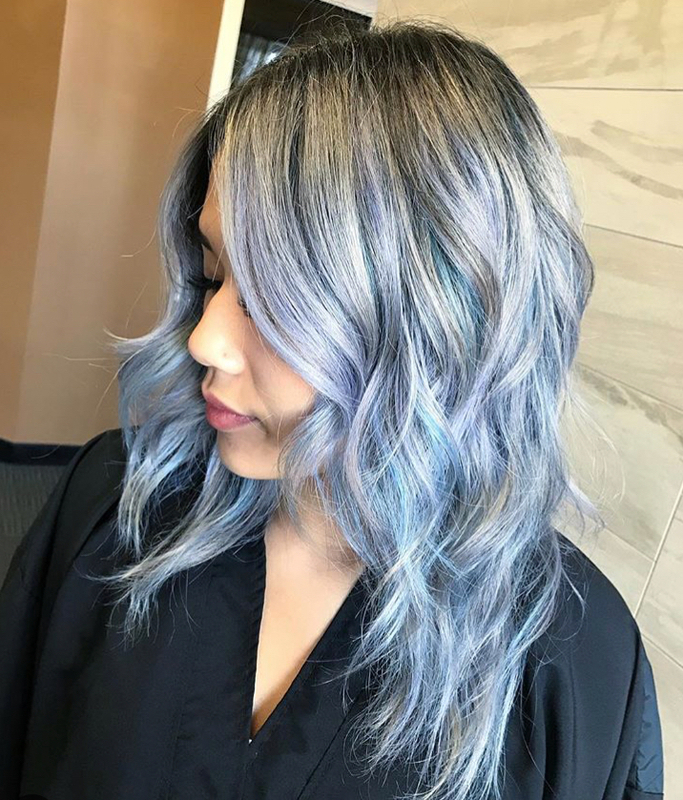 If I have a client who found a haircolor/style on another hairdresser’s page, I go to it and see if there are any videos or formulations available. Since you are following a lot of different colorists on Instagram, you’re using a wide range of color lines and products. Who are you using on a regular basis? I’m using around six different color lines—Kenra, Guy Tang, Schwarzkopf, Goldwell, Pravana, and Joico. You do a lot of creative color in your studio, but what would happen to your business if the creative color trend just up and disappeared tomorrow? Honestly, I don’t think I would be affected all that much, and I say that because I do a lot of blondes more than creative color. Most of the people who I am doing creative color on are people who are coming in for something blonde-related. I’m usually talking them into trying something new and different and with more color. So you’re Jedi Mind-tricking your clients into creative color? You’re bit of a persuasive seller, huh?! I don’t like to keep doing the same thing over and over. If I’m stuck doing balayage all day and every day, then I honestly don’t even want to come to work. I get bored easily. And if my Instagram photos are all starting to look the same, especially for the same person coming in, then I show them and say, “I think it’s time we switch it up.” I’ll show them examples and this helps them to try something different. Because you are posting a lot of pics on Instagram, do you have any tips when it comes to shooting the photos you’re posting? At the entrance of our Sola, right over by the front doors of the building, we get the best natural light. I shoot all my photos right there because I don’t have the right type of lighting in my studio. I also have a ring light in my studio as well because it gets dark really early here in Washington during the winter. I also have a professional DSLR camera but have been shooting on my phone ever since I got the iPhone 7. You also mentioned during your video interview that you were thinking of bringing on an assistant. What qualities would he/she have to possess for you to take him/her on? I would have them assist me for six months and then I would invest the time into training that person. The reason for that is because when they are in that assistant position, you’re going to know whether or not they are going to work out and be someone who is trainable. I would want that person to be quick, and have common sense, and have some experience. Do you feel like the other suites in your Sola location are competition? No. Not at all. We all have our own different styles. I’ve even sent people to some of the other stylists in the building because I am not taking on any new clients. What have you learned about yourself over the past two years of being at Sola? Being at Sola has been the highlight of my career. It has helped me become a better business owner by knowing how to advertise myself and build a clientele. 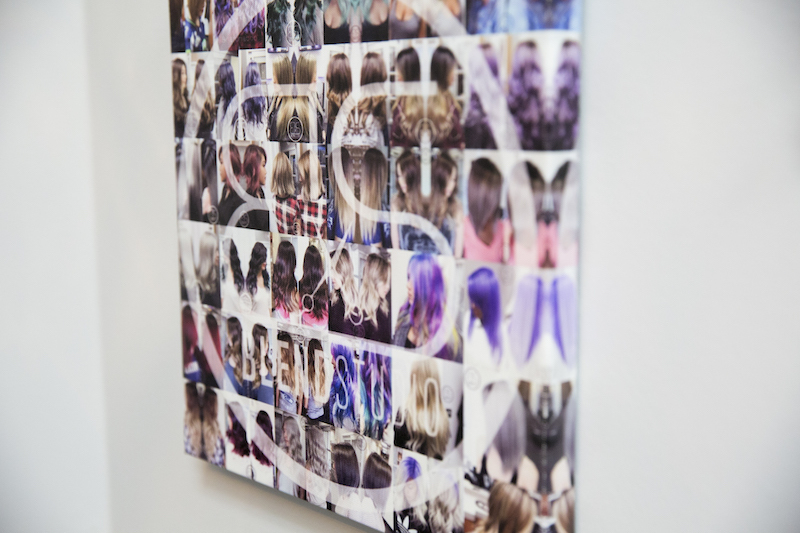 It has made me a better hairdresser because it keeps me up-to-date by attending Sola Sessions and learning new techniques, styles, and the current trends. 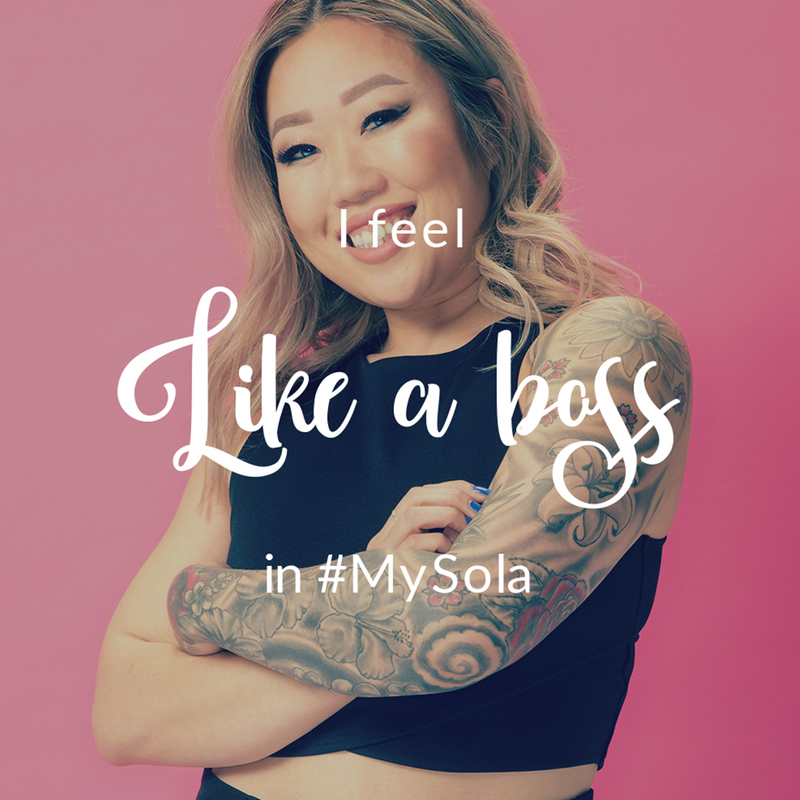 Sola has made me a better person by helping me stay dedicated and passionate about my career. To connect with Sharon or learn more about Blend Studio, visit her Sola webpage or visit her on Instagram.